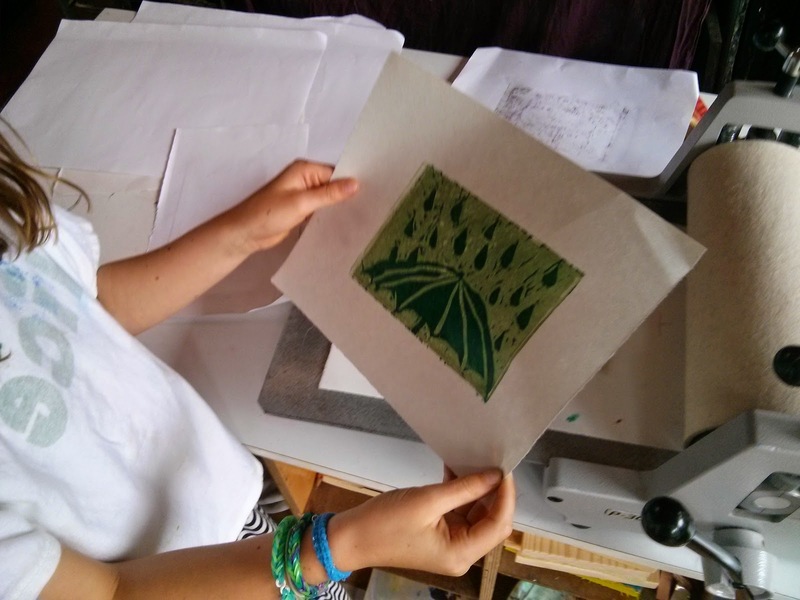 Studio Kids - Children's Art Classes in Ballard, Seattle: Fall session, now enrolling! 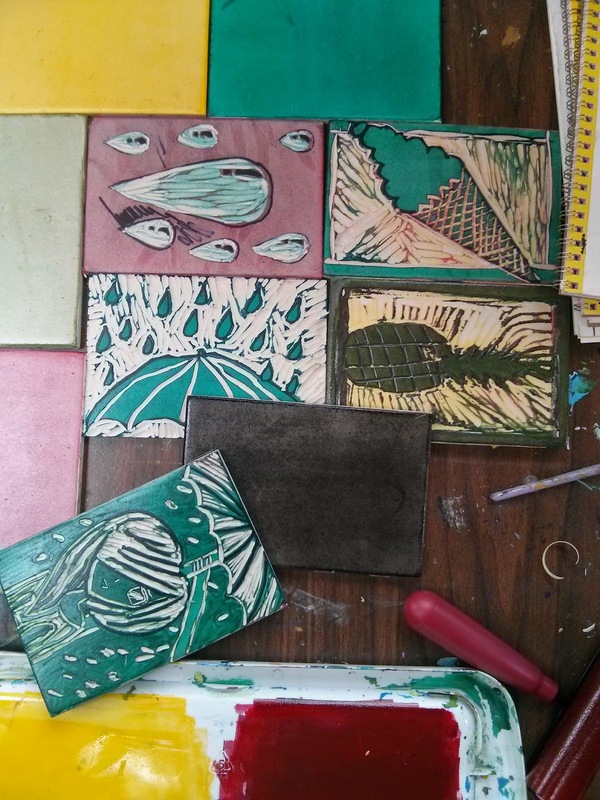 I am excited to be offering printmaking this fall session. I bought a small printmaking press in the spring and took it out for a spin during the summer camps. A good time was had by all! The fall classes will explore drawing, painting and printmaking. Check out the Classes page for all the details. Classes start October 1st and are limited to 6 students. Sign up today! Lino cut blocks made by the middle school students.